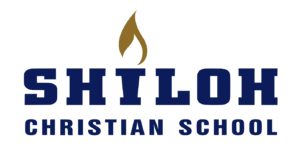 Shiloh Christian School has been awarded a White Tail Deer Tag that may be used anywhere in the state of North Dakota. A portion of the proceeds will go back to the North Dakota Game and Fish Department. The auction will run September 10-September 14, 2018. Bidding closes at 7:15 p.m. Friday, September 14. The winner will be announced at half time of the Homecoming Football game at Miller Field, Shiloh Christian School. © 2019 Shiloh Christian School. All Rights Reserved.